I recently purchased a '97 Boxster for dirt cheap. The car is a blast and I've been enjoying it on these NorCal roads (recently moved). The car has ~128k miles. Not a perfect example, but I can't complain considering the price I paid. This morning on the way to work I stalled pulling away from a red light and the car died. I managed to get it out of traffic and tried restarting without luck. I parked it at the parking lot at work and tried restarting later when the car cooled down, but still no luck. 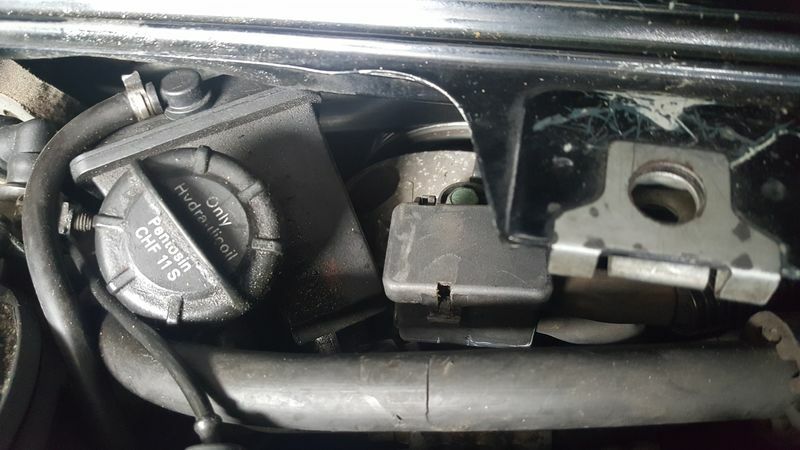 Tach needle gets off the peg, but doesn't "bounce"
From reading around the forum it seems like it could be the crankshaft position sensor or maybe fuel pump, but I'd appreciate if someone could give me some insight before I spend money. I'd also appreciate it if anyone could recommend a good towing company in the Cupertino area. I've got to tow the car 1.5 miles from work back to my place. Last edited by eee; 02-01-2019 at 08:28 PM. You start and drive fine. When you shut off and try to restart hot or warm, it spins but doesn't start. Once cooled off, it starts fine. Hadn't heard of it stopping while driving, but CPS is not my area of expertise. I had a 911 cab that exhibited the scenario I just mentioned, changed the CPS, and it was fine. In situations like yours, go back to the basics - gas, air, spark. Do you smell gas when you turn the engine over? Does the gas gauge work? Do you have gas in the tank? Just a thought as far as towing goes get yourself an AAA membership for about a hundred bucks and then have them tow it. The membership has got to be less then the cost of the tow and the membership is worth having. Agree. Get some spray start (Diethyl ether) and spray in air intake - if you don't get at least a "cough" out of the engine, chances are you have no spark. That stuff pretty well ignites if you snap your fingers. Definitely have gas in the tank, though it does go through gas very quickly. I think around half a tank in 100-120 miles or so. Could just be my driving. I'll give the spray start a shot before getting a tow, thank you for the idea. So I got the car to “cough” once with the starter fluid, but I couldn’t keep it alive. After that I tried push starting it again and it coughed to life, but immediately died. Opening the throttle just makes the death throes a little longer. RPMs never get over ~1200. Last edited by eee; 02-02-2019 at 02:31 PM. Take off the gas cap and listen while someone turns the ignition to the ON position. Do not turn to the starter position. You should hear a whirring noise from the fuel pump in the gas tank. No sound, check the fuel pump relay first. If it is good, then the fuel pump might be bad. Just for fun put some gas in the tank...Sometimes the fuel gauge lies, I've seen cars out of gas that showed 1/8 of a tank left. If that’s loose, same symptoms. Borrowed a friend's multimeter to check the fuel pump fuse today, it was fine. Also checked the 12V rail for the fuel pump relay and the fuel pump resistance, both seemed fine. However, I couldn't hear the fuel pump running when the relay or a jumper where in. I've ordered a new relay and fuel pump, and I'll see if those do the trick (in that order). If that doesn't do it, I'm thinking it's the CPS. Oil cap was fine. Genuinely curious: how would a loose cap cause such a drastic fault? Didn't notice any signs of a vacuum leak and the throttle body seemed fine. Thanks for your suggestions. Why CPS? I don't think you would've gotten spray start to fire with a bad CPS. Sounds like fuel pump to me (you said you tried jumping relay with paper clip). Just replaced the fuel pump and the fuel pump relay, no change . The car still has the same symptoms. I'm going to over my work for the third time tomorrow and make sure I didn't miss any connections. One thing I'll double check is the orientation of the inlet and return lines on the sender unit, I may have mixed those up as there's no indicator. Edit: I did mix up the inlet and return lines from the pump to the sender unit. Fixed the orientation, double checked everything and buttoned it back up. Still no dice. Last edited by eee; 02-11-2019 at 07:30 PM. Thank you for posting the resolution - it is how I learn. My 2004 Boxster is doing the same today! My problem turned out to be a weak "positive" ground in the engine compartment. It was rusty, and if I wiggled the cable and turned the key the engine would start. Disconnect the battery. It is located in a black plastic box next to the power steering reservoir. Use a screw driver to pop the box open and a 14 mm socket to remove and clean the nut. 2001 Base with 2002 3.2 DIY swap 97 "short shift" tip "Joe Toth" aerodynamics, Z top, painted headlights. I'm going to save your pictures. 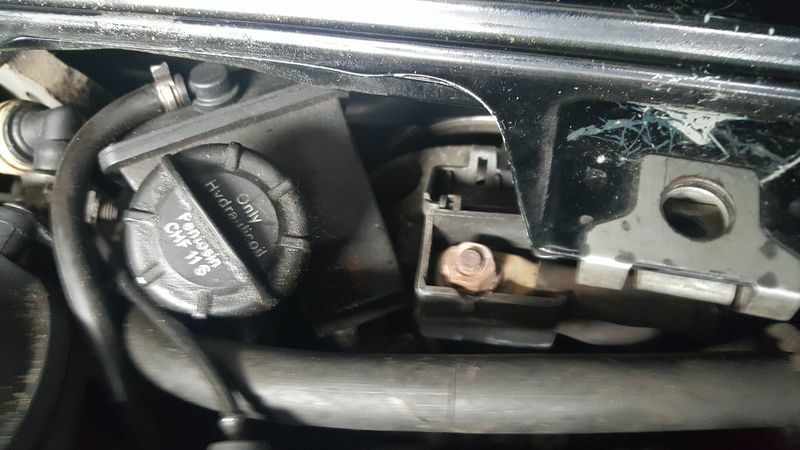 I can't tell you how many times I've tried to explain to people exactly what and where this distribution block is and the issue it causes when that nut loosens...I always forget to get a picture when I'm in the engine bay. Glad I could help, feel free to save and share ... this had me stumped for quite a while.